There are Jobs, and then there are CAREERS. Have you considered capitalizing on your abilities to work with a variety of people in your community, or perhaps dreamed of specialty assignments like patrolling in a marine boat or helicopter, serving on a SWAT Team, becoming a Communications Dispatcher, or a Detective? Join our exceptional Team. Maybe you'd like to put your outstanding clerical, accounting, people and phone skills to use in a unique new setting. 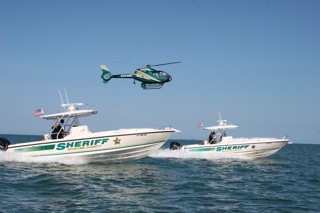 The Manatee County Sheriff's Office is one place where you will find a career path that is "right for you". The Manatee County Sheriff’s Office is a Professional Law Enforcement/Corrections Agency represented by approximately 1200 employees, certified and non-certified. Manatee County is ideally located in the heart of Florida’s gulf coast with convenient access to the cities of St. Petersburg, Tampa, and Sarasota.